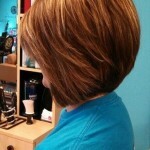 Home » Popular Hairstyles » Get gorgeous in a breeze with the ultimate boho bob! Get gorgeous in a breeze with the ultimate boho bob! This cute bob haircut is great for those beach girls who are tired of that typical bohemian look; you know long hair with loose waves. The ultimate boho “hair-lift” gives you the carefree, bohemian look with a stylish edge. The boho ombre bob is neck to shoulder length and a bit shorter at the back. 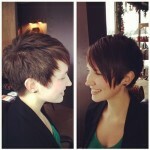 The slightly graduated look is not too severe and works great to show off a long and slender neck. It’s versatile, too, so you can style it straight, wavy, curly, or messy. Any way you like it! The styling possibilities are endless. This style works great for the no-fuss, no-nonsense girl who doesn’t want to spend too much time on her hair and yet look great! To take this up a notch, a blunt bang is great to make this look really stand out with an added bedhead texture. 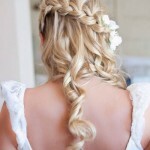 This hairstyle would suit all as it can be tweaked to all different face shapes. If you’re tired of styling your hair and want a low-maintenance cut, then the cute and care free boho bob is just right for you! 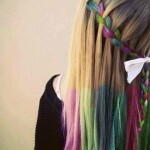 And you can find more ombre hair here.